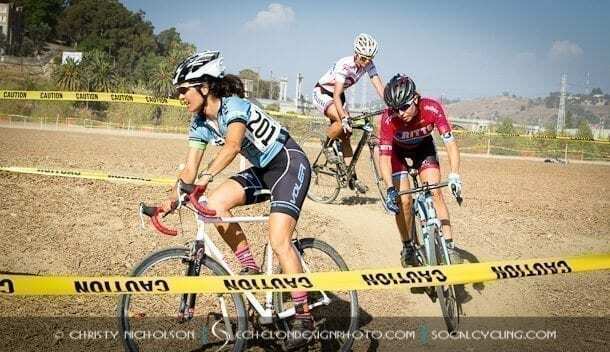 SoCal Cross Prestige Series Kicks Off this Weekend, Schedule Released - SoCalCycling.com - Southern California, Cycling, Cycling News, Amgen Tour of California, Bicycle Racing, Fun Rides, Cycling Event Schedules, Mountain Biking, Cyclocross, Cycling Photos, Cycling Videos, Interviews, Product Reviews. The SoCal Cross Prestige Series will be returning for it’s 8th season and will be kicking off this weekend with the DTLA Rally Cross Weekend. The venue is located in Los Angeles at the Los Angeles State Historic Park, which features a spectacular view of Downtown LA’s skyline. The weekend will feature a full schedule of eco-fitness-bicycle-festivities as outlined on their Facebook page below. Saturday 9.28: RALLY ‘CROSS… A day in the Park kicking off with Arroyo Seco Via and River Rally advocating the need for River restoration/revitalization and a dedicated bike route from the San Gabriel Valley to Downtown Los Angeles. The day kicks off at 8am with cyclists and runners gather at the Hahamongna Watershed Park in Pasadena to celebrate the Arroyo with a ride/run 12 miles downstream to Marsh Park for the River Rally along the Los Angeles River. After that they’ll head over to the Historic Park for Rally ‘Cross in the Park goes from including elimination CX short heats, the Little CX500, Kids Bike Skills Course and at sunset the Bike-In movie… showing what else… Cyclocross! Saturday: 9.28: Let’s Rally for the River starting at 12 noon: Team & Expo Set up, Food & Brewfest, 12 noon-6 pm early registration-packet pick up, 2 pm Rally Cross short lap elimination race… any bike goes, 4 pm Little CX 500 team relay race… any bike goes, 6 pm – Win Win Legit CX race (40 minutes) $10 entry, 7 pm Bike-In CX Movie! Sunday 9.29: SoCalCross PRESTIGE SERIES race #1 KICK-OFF!!! A full day of Cyclocross racing plus Rally Cross & Little CX500 fun races and of course, kids fun race.